So cool, not sure how I read this faster then when I would read something spelled correctly lol! i just love the way you portray your ideas! At first, I thought something was wrong with my computer. Then I saw what you did. Clever! How did I read this?? Thank you for such a wonderful piece of writing. Through fluency and prediction. Good readers only skim over words and second guess what’s to come next. It’s fun and shows that we don’t need to decode everything we read! Nice reply. Loved your explanation. Why thank you! I’m so grateful for your feedback and glad you found my explanation helpful! 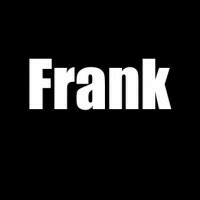 its amazing frank. Just like a child’s language I was not able to understand it at the first reading. You are a wise man frank. Amazing! Rare that poetry makes me laugh, but this piece did! This is so clever 😂 I loved it! Honestly, i could not understand these jumbled words,am i a tube light,Frank? Hey Frank,before a child in me could try, my daughter picked it up and read to me in 5 seconds. Hi.. Just want to ask something. What kind og language are you using ma’am or sir? You know I loved this. Good job! Ok, I got it. Whew, what a great puzzle. Ok Frank, could you please unscramble this word, “rianedg”? I usmt damti I am stpumed. That must have hurt a little to write, trying to get the misspelling perfect. It’s a stunning piece of creativity and so funny. love this!!! It’s a pleasure to read but looking at the crafting of it, I can see the hurt. When I write in Scots it can be a pain because the spelling doesn’t look right. Doing a piece that actively misspells really amps this up. It’s a fun hurt but it’s the first thing I thought of. Fantastic end product but there had to be a struggle to get there. Regardless it’s such a damn impressive piece!! I didn’t know I couldn’t read….. that was great!